Preheat oven to 375°F. Spray a muffin tin with nonstick baking spray. Open the cinnamon rolls and set the icing packet aside. 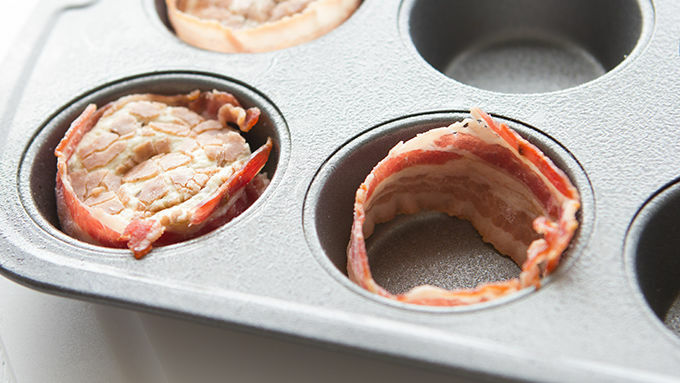 Separate the cinnamon rolls and wrap a slice of bacon around the outside of each roll. Place in the muffin tin. Repeat with remaining rolls. Bake rolls for 9-13 minutes, or just until the cinnamon rolls turn golden brown. Remove rolls from tin and drizzle icing over tops. Decorate with sprinkles, if desired. No need to make your bacon separately when this way's so easy and good! Here's an incredible idea that makes you scratch your head and wonder, "Why didn't somebody think of this sooner?" It really seems that essential and brilliant. Who doesn't love cinnamon rolls? And bacon? So... you see where we're going with this... Yeah – just make them together. 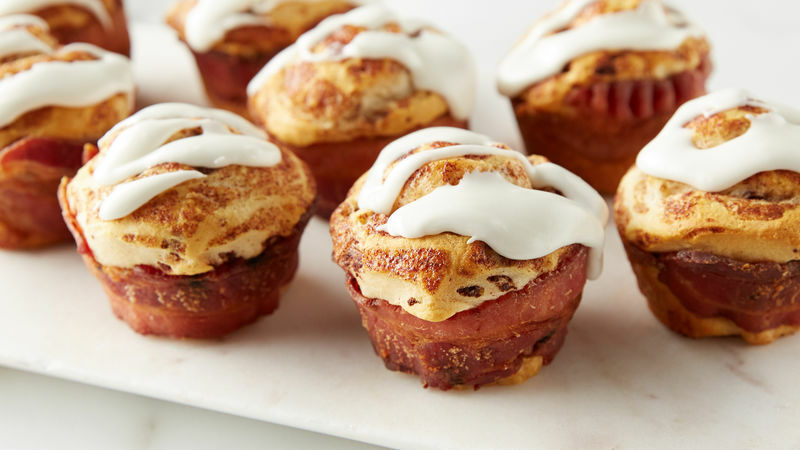 Bacon wrapped lovingly around a cinnamon roll and baked to perfection. It's just that simple. 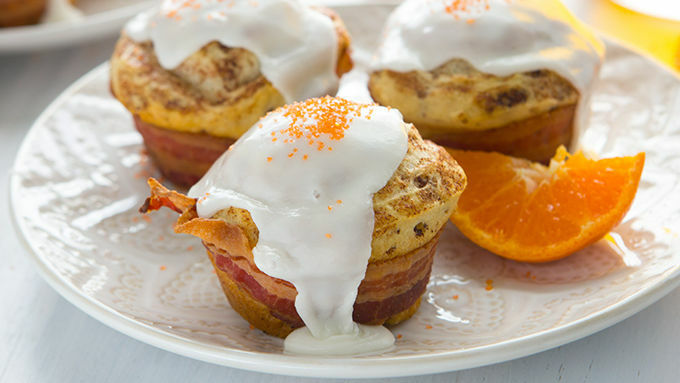 Serve them with mimosas, and your brunch guests may never leave.